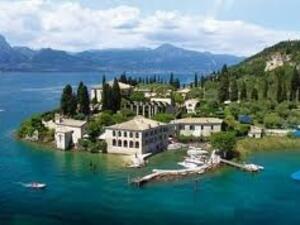 Garda is one of the most popular and charming village of the lake. 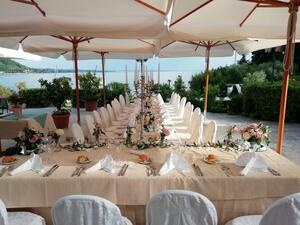 It is set in a beautiful bay on the Veronese coast and it is 32 km from Verona. 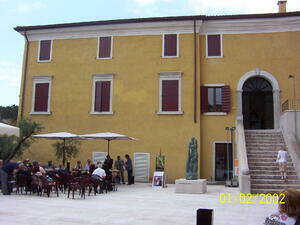 South of the city of Garda there is the hill of the Fortress where once stood the castle . Garda boasts a great reputation for the beautiful seaside, the splendor of the landscape, its mild climate and the cute historic center with the romantic typical restaurants. The flora around is Mediterranean: there are olive trees, cypresses, laurel , oleander and grapes. 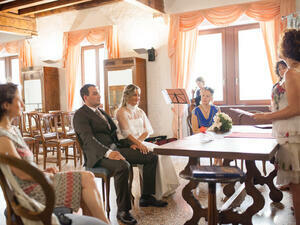 Garda is the perfect destination for a dream wedding: the ceremonies are celebrated in the delightful Palazzo Carlotti, on a little square near the romantic seaside.